London's underground railway system is the oldest in the world, the very first section having been opened between Farringdon & Paddington stations in 1863 by the Metropolitan Railway. Ever since those historical early days of choking steam operation, there has been almost continuous development and expansion of the system, including electrification, deep level tube line construction and extensions, amalgamation of the original companies, through to the latest computerized signaling systems, allowing the automatically driven trains of today. With the recent major upgrade projects on the Jubilee, Northern and Victoria lines having now been fully completed, with automatically driven trains now operating on all three lines, there is also a new fleet of air conditioned S'Stock trains, which are now operating in 7 car formation on the Hammersmith & City and Circle lines, as well as on the far reaching Metropolitan Line in 8 car units. Deliveries of a fleet of S7 trains for the District Line have now been fully completed, and they have totally repaced the the venerable D78 stock trains that have now finished operational service. Construction on the long awaited east-to-west Crossrail major project, to be known as The Elizabeth Line is also now nearing completion. Although the system is now so extensive, and perhaps complex, there are still numerous reminders of the wonderful heritage and history, and fortunately, due to London Undergrounds long established pride in its history a great deal of interesting data and information is available. The London Underground Railway Society (LURS) exists to study all aspects of Transport for London's metro railways, - past, present and future. Including LUL, London Overground, The Docklands Light Railway and Croydon Tramlink, as well as the relevant sections of London's Network Rail, and the now long disused Post Office Railway. Additionally, including some long forgotten and bizarre ones, in addition to the main London Underground system. The LURS was formed back in 1961, since that time interest in us, and our membership have grown steadily each year. We hold a monthly meeting, which is held during the evening on the second Tuesday of the month, at an easily accessible venue which is located in Central London. This usually taking the form of an illustrated talk by a specialist speaker, on a relevant topic. Further details of which can be found on the Meetings page of this website. Another interest covered is modelling. 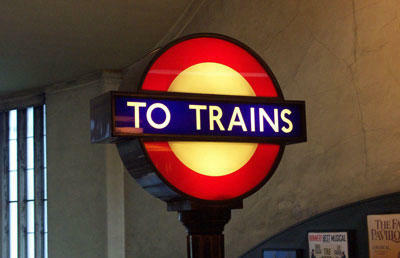 The Society has available information for modelers of London Underground, including some scale drawings, and lists of suppliers of kits & spare parts. To keep members informed, the LURS publishes Underground News every month. This fully illustrated journal is intended to keep members abreast of events on London's Underground and of LURS activities, together with short articles on various relevant subjects.Underground News is in A5 format and normally contains at least 52 pages plus colour covers. Membership runs from January to December each year, but those joining on or after 1st July in any year, may do so for the half year at reduced rate. New members receive the Underground News backdated to January or July as appropriate. If, having read this brief description of the LURS, you feel you would like to join us, please go to the Membership page,complete the online form or fill in the downloadable membership form(pdf) on that page. The London Underground Railway Society is not part of, or associated with,Transport for London, London Underground Ltd or any other company.